Our Chapel Hills Vision Clinic in Colorado Springs, CO provides vision services and helps make the choice between traditional eyeglasses and contact lenses. We have helped the Chapel Hill area of Colorado Springs for more than 30 years. We can help you too. For the vast majority of people, the choice of which to use is a matter of personal preference. To help facilitate that choice, we have compiled the pros and cons for each for your consideration. Among the list of pros for traditional eyeglasses are considerations of health, effectiveness, and appearance. Unlike contacts, eyeglasses protect the eyes from environmental irritants and allow the amount of light entering the eye to be adjusted. They also do not exacerbate conditions like dry eye syndrome or sensitive eyes. As for appearances, frame choices can be a fashionable way to express your individual personality. On the con end of the spectrum, glasses lack peripheral coverage and can blur/fog in certain weather conditions. In addition, glasses can hide/change a person’s features and stronger prescription strengths can minify or magnify your eyes. The biggest pro for contact lenses comes for those with eye or vision issues that cannot be fully addressed with traditional glasses. This includes conditions like keratoconus and myopia where the lens itself reshapes the eye to allow for better vision. 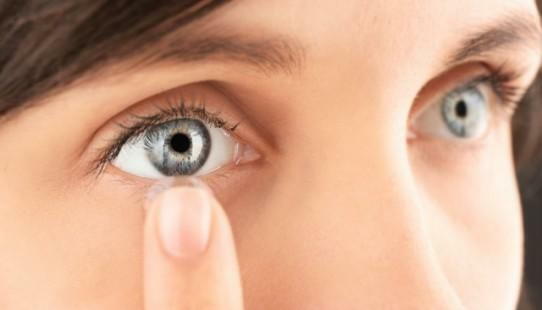 Additionally, contacts provide a wider field of vision by conforming to the curvature of the eye. They never clash with your outfit, are not affected by the weather, and do not get in the way when physically active. You can even change the color of your eyes. On the con end, contacts can be difficult to insert/remove, increase the severity of dry eye, and worsen the symptoms of computer vision syndrome. Moreover, they allow less oxygen to reach the eye. Stop by the Chapel Hills Vision Clinic in Colorado Springs, call our staff at 719-599-5083, or visit us online today.